Sam has represented plaintiffs and defendants in securities arbitrations involving a broad range of investment products, sales practice violations, and supervisory issues. His practice also has included representing defendants in state and federal court and before regulatory agencies in matters involving securities laws, contract disputes, and other fraud-related claims. His considerable experience in investigating and analyzing claims, drafting pleadings and briefs, managing discovery, negotiating settlements, and trying cases sets his skill set apart from his contemporaries. 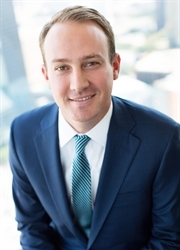 A Dallas native, Sam brings an enthusiasm to the practice of law that impresses clients and peers alike. Obtained dismissal of unauthorized trading, breach of fiduciary duty and failure to supervise claims asserted against broker-dealer and individual defendants following portfolio reallocation to common stocks. Successfully argued motion to dismiss based on statute of limitations before Financial Industry Regulatory Authority (“FINRA”) arbitration panel, thereby avoiding liability of broker-dealer and registered representative for alleged churning and unsuitable investment recommendations. Negotiated favorable settlement of significant claim against broker-dealer relating to alleged improper account disbursements and fraud in connection with receipt and retention of power of attorney form. Defended broker-dealer against breach of fiduciary duty and price execution error claims relating to Facebook Inc.’s initial public offering, obtaining an award representing a small fraction of the claimant’s alleged losses. Negotiated withdrawal of claims against corporate defendant involving alleged fraud in connection with completion and delivery of transfer-on-death beneficiary form. Represented broker-dealer in connection with substantial docket of closed-end bond fund and municipal bond misrepresentation and omission claims brought on behalf of investors. Secured central registration depository (“CRD”) record expungement directives in favor of various registered representatives following the global financial crisis. Coordinated numerous due diligence reviews for a market maker in connection with funding and launch of exchange-traded funds and notes, including review and analysis of SEC filings. Counseled broker-dealers and registered representatives regarding compliance issues and best practices to deter future retail brokerage litigation.